While it is possible to do a border run every time your tourist visa needs to be “reset,” that’s fraught with issues. Governments have a tendency to crack down on this sort of behavior—if not always, then periodically (which can really catch you off guard). Illegal residents are subject to deportation and a five-year ban on re-entering Panama. Though this is rarely enforced in the case of U.S. and Canadian citizens, officials are wising up to the Panama-to-Costa Rica border runs popular with the increasing number of de-facto expat residents. So if your online business or freelance work can be officially registered as a corporation in order to secure your residence, that can only be good news. Alice Beth moved to Panama with a view to establishing a freelance career and is delighted with her choice of location. Panama is among the best countries in the region when it comes to technology, including Internet penetration and mobile phone coverage. That means here you have the connectivity you need to run your business from your laptop, tablet, and/or smart phone. For copywriters, photographers, travel writers, web designers, and ecommerce entrepreneurs good Internet service is a real bonus. As a copywriter and marketing strategist, Alice is now working on obtaining residence. “When I arrived in Panama, my first priority was not establishing a visa, but finding out if freelancing in Panama is something I could even do,” she says. Applying for residence has always been easy in Panama…particularly for expats of retirement age. (In fact, Panama has a pensioner’s visa designed to grant expat retirees easy, legal residence). But in 2012 Panama’s government introduced a gamechanger. New options have opened the doors even wider for younger or professionally active expats who don’t qualify for pensioner, or pensionado, status. Today, Panama’s most popular residence option (after the pensioner’s program) is the “Friends of Panama” visa. It basically expands on a 50-year old treaty with the Italian government. 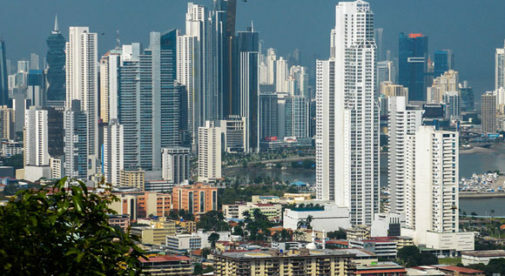 Italian citizens with the means or the intent to start a business in Panama could use the program to become residents quickly, with very little red tape. Over the years, many quietly made use of this little-known option to relocate to Panama, opening everything from Italian restaurants to beach B&Bs. In May 2012, the government decided to extend this option to citizens of other “friendly” countries. Turns out there were many such nations…and the list has grown. Today, the Permanent Residence for Nationals of Specific Countries lists over 45 countries (including the U.S. and Canada) that “maintain friendly, professional, economic, and investment relationships” with Panama. The straightforward requirements include establishing a local bank account with a minimum balance of $5,000 and either purchasing real estate (at least $10,000 worth)…getting a job…or opening a business. If you’re already working online—as Alice is—you have a business to register. Setting up a Panamanian corporation—known in Spanish as an Anonymous Corporation (Sociedad Anónima, or S.A. for short)—is easy and inexpensive. Depending on the type of business activity, attorneys charge as little as $1,500 for the service, and annual registration fees are just $300. Corporations are subject to capital tax—the minimum is around $60 on the usual capital of $10,000—but there aren’t many expenses other than that. And there’s one more major perk for offshore businesses. While countries like the U.S. tax global income, Panama is famous for not doing this. If you’re working for international clients, it’s likely your revenue won’t be subject to tax here. Your accountant will simply note on your yearly tax declarations that your revenue came from abroad. And under Foreign Earned Income Exclusion guidelines, U.S. citizens doing business abroad may earn a certain amount of money ($97,600 in 2013) a year without paying a cent to the IRS. Similarly, “nonresident” Canadian citizens are required to pay taxes only on certain income from Canadian sources. So Panama’s territorial tax system and a home country exemption for business abroad could essentially free you from paying income tax. Typically, you can have the same attorney set up your corporation and submit your “Friends of Panama” residence application…all at the same time. You can start doing business as soon as the corporation is set up and ready to commence operations, no need to wait for your residence to be approved (this takes about six months). In fact, as soon as your attorney submits your residence application, you’ll receive a temporary permit allowing you to remain in Panama…no border runs required.